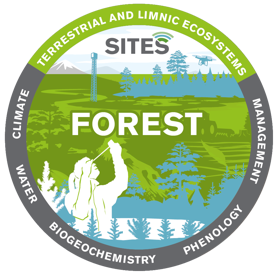 The SITES infrastructure offers many and varied opportunities for studies of forest and forest-related issues. 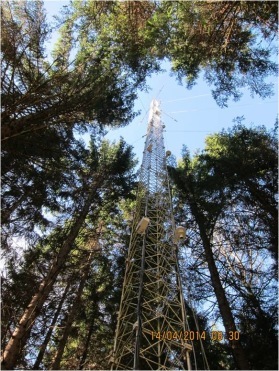 Many of the SITES stations are situated in or near productive forest, but natural and other types of forest also occur. 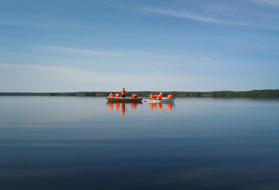 In many of the productive areas, large-scale experiments are possible, especially in terms of silviculture, but also focusing on other aspects, such as water quality, recreation or biodiversity. In addition to traditional field research, there is a unique opportunity to conduct research into intensive forestry. Data from 1600 long-term field trials, which also include demonstration plots, is available, such as measurement series of long-range air pollution and its effects, ecophysiological studies of trees and effects, and interaction with the surrounding natural environment in a changing climate and in terms of water and nutrient supply. The forest around Abisko comprises mountain birch. Research at the station is part of the phenological measurement programme, and includes remote measurements during insect infestation. Asa research park, approximately 1000 ha, runs traditional experiments relating to forest management and production. An important part of the research activities is linked to regeneration issues, with challenges such as insect damage (for example, pine weevil), wildlife and frost. Other examples are various types of thinning experiments, studies of continuity forest, experiments examining the production potential of spruce, and tree species experiments, where survival and production for different species, both domestic and exotic, are studied in comparative experiments. Another experiment is very carefully measure growth of young spruce forest on ten plots. Stem growth and litterfall have been measured weekly since 1992, as well as groundwater depth and soil moisture on the plots during the growing season. 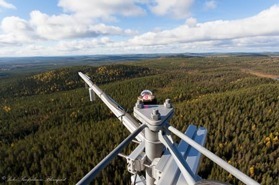 Asa and Svartberget are jointly responsible for the 1600 forest-related experiments in Sweden. 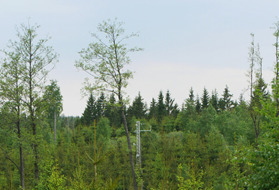 Erken is surrounded by mixed coniferous forest with some deciduous trees. Erken does not manage and is not responsible for the forest around the lake but these forest environments could comprise interesting sites for ecosystem research into, for example, migrating birds, insects, decomposition, and biodiversity studies. 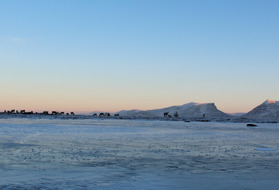 Grimsö lies along the phenological line between the hemi-boreal and boreal forest areas, and is an ideal area for studying effects of climate change on species diversity. The forest is partly a conventional productive forest, and partly a reserve. 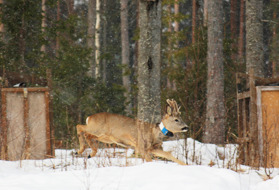 Grimsö’s history of wildlife ecology studies offers great potential for research into the interaction between forest and many animal species in Sweden, such as grazing and browsing pressure and damage, habitat preferences, and population dynamics. 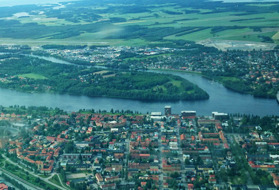 Along the Degernäsbäcken stream, which flows through the agricultural landscape of the Röbäcksdalen valley, there are sections of forest that could form the basis of studies of biodiversity, light/shade conditions in the agricultural landscape, and barriers for nutrient leaching from agricultural land. The Röbäcksdalen research area includes an apple orchard that can be studied from an ecosystem perspective, such as survival, climate, insects and damage.